Can Christen Press help fill Megan Rapinoe's absence for U.S. women against China? Can Christen Press Help Fill Megan Rapinoe's Absence For U.S. Women? 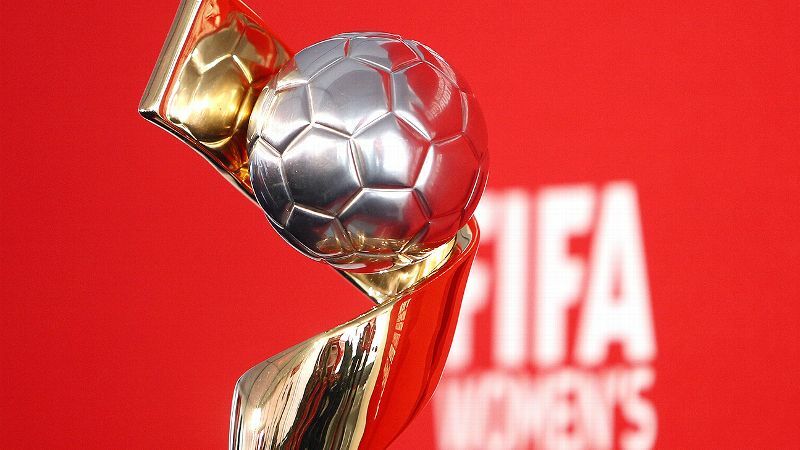 EDMONTON, Alberta -- Abby Wambach called it the question of the hour after the United States beat Colombia to reach the quarterfinals of the Women's World Cup. She might have shorted its shelf life by about 5,000 minutes. 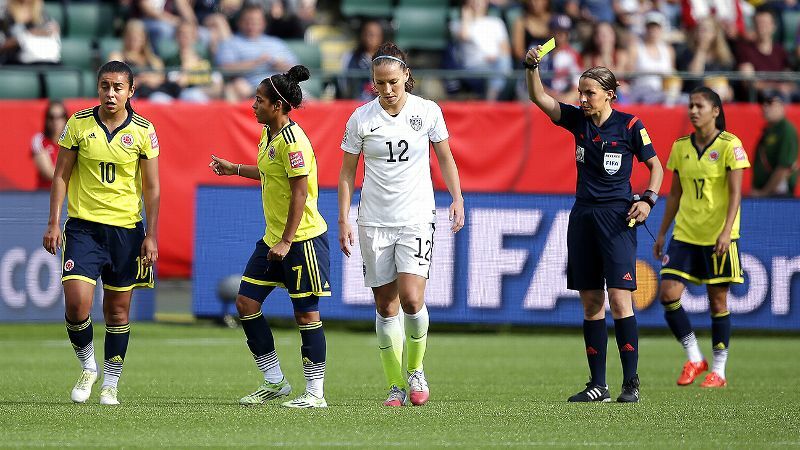 The conundrum of what the United States does with both Lauren Holiday and Megan Rapinoe unavailable for Friday's game against China because of accumulated yellow cards was among the most discussed in the immediate aftermath of Monday's win. And it's likely to drive the conversation right up until the quarterfinal kicks off in Ottawa. 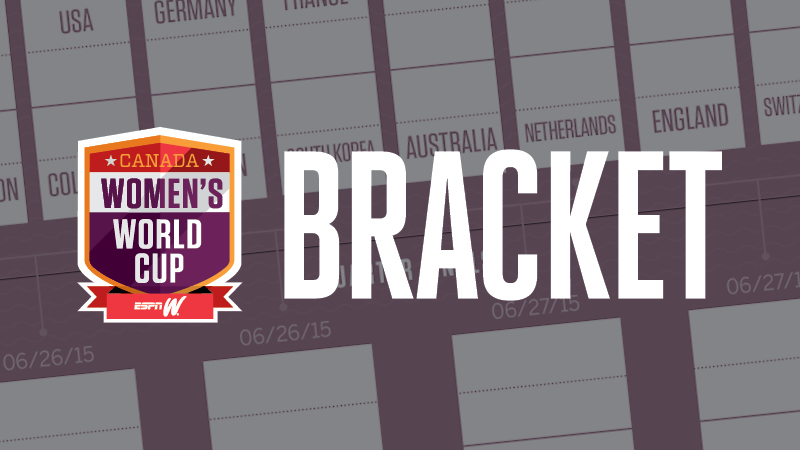 Christen Press' high-water mark so far in the World Cup was a goal against Australia. Rapinoe's suspension removes from the field the player who, objectively, created the most chances for the United States in its first four games and played a key role in five of the team's six goals and, more subjectively, was the only consistent source of invention and dynamism going forward in those games. The team hasn't been perfect with her in the lineup (see the game in Winnipeg against Sweden), but it's hard to call it a coincidence that pre-World Cup scoreless draws against Iceland and South Korea and a loss against France in which the United States didn't score all occurred without her on the field. Where she goes, chances follow. The U.S. women didn't meet with the media Tuesday, a travel day to cross the country to the Canadian capital, but the answer from the team's camp in the days to come is likely to sound a lot like the one coach Jill Ellis provided Monday night, i.e. long on expressions of confidence in the team's depth and short on specific names. "Obviously got some decisions to make," Ellis said after the win. "But I think we've invested in players significantly over the past six months. We've dealt with injuries, so I feel very confident in the players we have to be able to come on and contribute. And I know that they're going to be able to step up and help us advance." In a World Cup that has thus far been a learning experience, it could be an opportunity for Christen Press to prove she is a quick study. We're kind of in a rigid formation with no natural angles. And I think we're working so hard to do what our coaches want and get the tactics right that we lost a little bit of that spirit of the game where you can just run where you want and do what you want. Press isn't the only option for the assignment, by any means, with veterans Heather O'Reilly and the ever-versatile Lori Chalupny among those awaiting their first significant minutes or a formation twist available. But reinserting Press on the right -- where she started the opening game against Australia -- and shifting Tobin Heath -- who started each of the past two games and played on both sides of the field -- to the left side that Rapinoe occupied against Colombia is the option that would cause minimal disruption to the established order (whether or not merely minimal disruption is a good thing will, as always, remain a matter of opinion for observers). After Press was dropped from the starting lineup the past two games, limited to a cameo 15 minutes off the bench against Colombia, it would also be a vote of confidence for a young talent who is due one. She didn't make a fuss when the national program bypassed her under Pia Sundhage and hasn't whined when asked to play out of position at times for Ellis. And Press still isn't lamenting her fate. "I felt that Jill believes in me fully throughout my year with her as a coach -- over a year now," Press said the day before the Colombia match. "I think that what she wants from me is for me to play at my 100 percent. I haven't done that yet. I don't think I've ever done that on this team. And I think I'm still finding my way in a new position sometimes. I definitely think I've had good performances, and I'm proud of what I've done, but I haven't hit my 100." 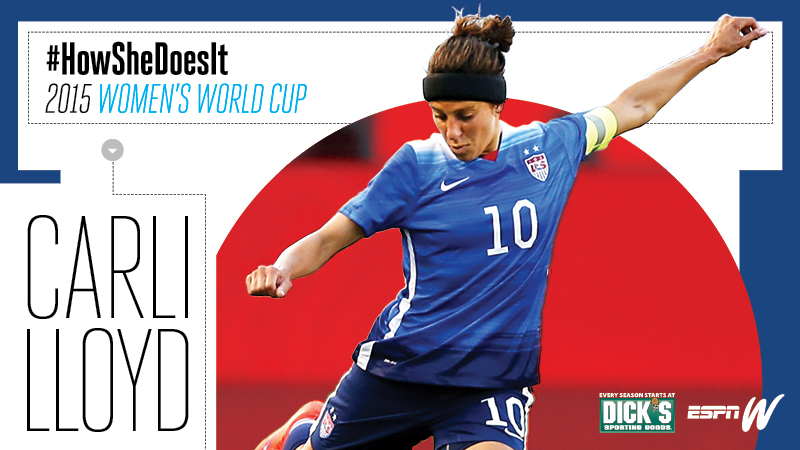 Playing in a wide midfield role isn't the ideal fit for the skills she displays as a forward. The goal Press scored in the win against Australia was the high-water mark of two starts, one at forward, in which she struggled to influence the game, to pull a defense out of alignment, to deliver service into the box or face up a defender. She has looked at times like someone trying her best to fit in rather than fitting in by standing out the way she has shown she can, both in a U.S. uniform and for other teams. It has been written before, but Press is a fascinatingly introspective soul in a profession in which that is not the norm. It seems almost possible to hear her processing the experience, stepping outside her own vantage point and working through what it all means. "I think that outside of this environment, I've had more integral roles in my team's attack," Press said before Colombia. "And I understand that at this level, when you get here, you start in a certain position and you have to earn the trust and the respect for a team to come to you and go to you to score goals in a pinch. "I don't know if I've necessarily taken all the steps to be that player on this team. I think that would be a big thing, just knowing that at all moments that the team trusted me to do that and that I trusted myself -- and to be able to play with that confidence for 90 minutes." The game against China is about advancing to a semifinal in Montreal, not player development for next summer's Olympics or the 2019 World Cup. But if the two aims dovetail, all the better. Press has the talent to be a spark and not just a cog, and a spark is precisely what the United States is trying to replace. "I think that they just want us to be a little bit more free," Press said of the coaching staff before Colombia. "Our starting positions, we're kind of in a rigid formation with no natural angles. And I think we're working so hard to do what our coaches want and get the tactics right that we lost a little bit of that spirit of the game where you can just run where you want and do what you want. That kind of chemistry that's built on your instincts and your freedom is what's missing from our attack right now." In other words, just go out and play. 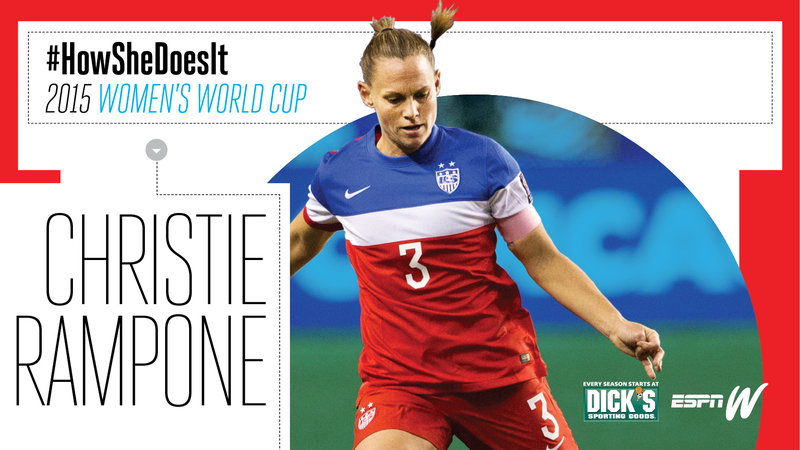 It's what Rapinoe does better than anyone. And it might well be the next test to pass for Press in her first -- but not her last -- World Cup.